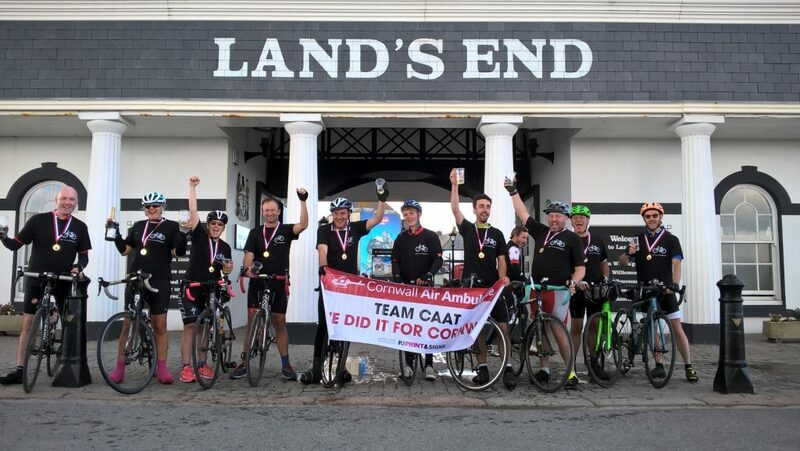 A team of cyclists pedaled more than 200 miles, braving wind, rain and steep terrain to complete the Tour de Cornwall and raise more than £9,200 for the county’s air ambulance service. Ten people took on the charity challenge organised by Cornwall Air Ambulance, a charity that carries out more the 700 lifesaving missions each year. The cyclists zig-zagged their way along the length and breadth of Cornwall, through rolling countryside and beautiful coastal villages, interspersed by some of the toughest climbs the county has to offer. 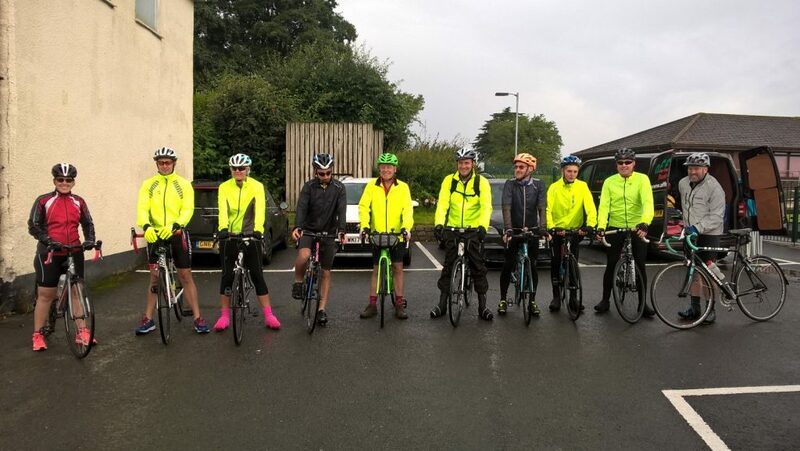 Starting at Longstone Park in Saltash on Friday 15 September, the team cycled 77 miles to Newquay, where they stayed overnight before riding another 77 miles to the Lizard the following day. The third and final day saw the charity fundraisers pedal a final 52 miles to a triumphant finish at Land’s End on Sunday afternoon. Becky Wise, Senior Fundraising Officer at Cornwall Air Ambulance, said: “Cycling 200 miles in three days through Cornwall is a tough proposition, but add torrential rain and strong winds to the mix and you’ve got a mega challenge on your hands. I was so proud of our cyclists, whose determination, resilience and good spirits helped them complete a journey they will be proud of for the rest of their lives. Each year, Cornwall Air Ambulance takes people on a series of incredible challenges to help raise money for the lifesaving charity. These have included climbing Mount Kilimanjaro, walking the Great Wall of China and taking on the UK’s Three Peaks challenge. The charity will announce its 2018 challenges within the few weeks. For more information on how to support the Cornwall Air Ambulance and give regularly to the charity, visit cornwallairambulancetrust.org/donate.